Oktoberfest Massachusetts is a beer and music festival in Amherst, Boston, and more cities coming soon. 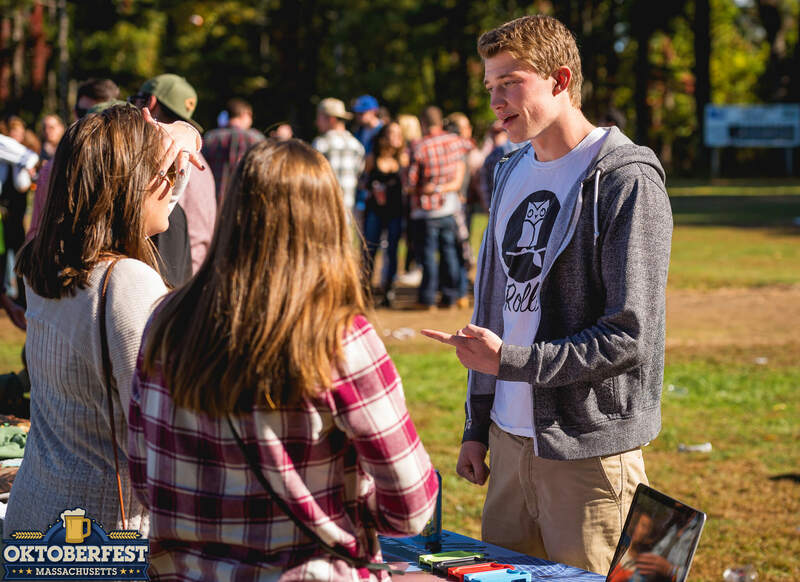 The event started near Amherst, MA where community members have received negative publicity about unsanctioned day parties and rowdy student behavior for years. 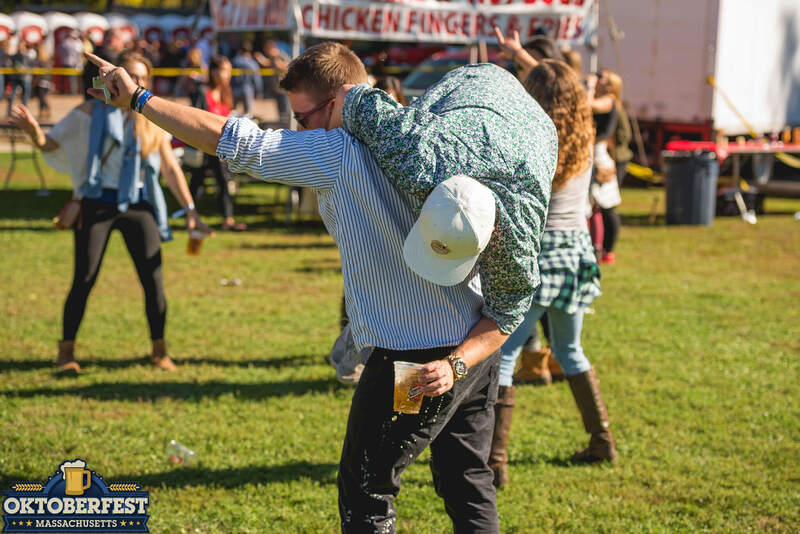 Oktoberfest Massachusetts was created in 2015 as a direct response to controversial events that gave the town of Amherst a black eye. Year One of the event sold out hosting 1,400 attendees along with national artists, multiple stages, local artists, vendors, and more. The festival raised awareness for Breast Cancer and donated thousands to Rays of Hope at Baystate Medical Center. 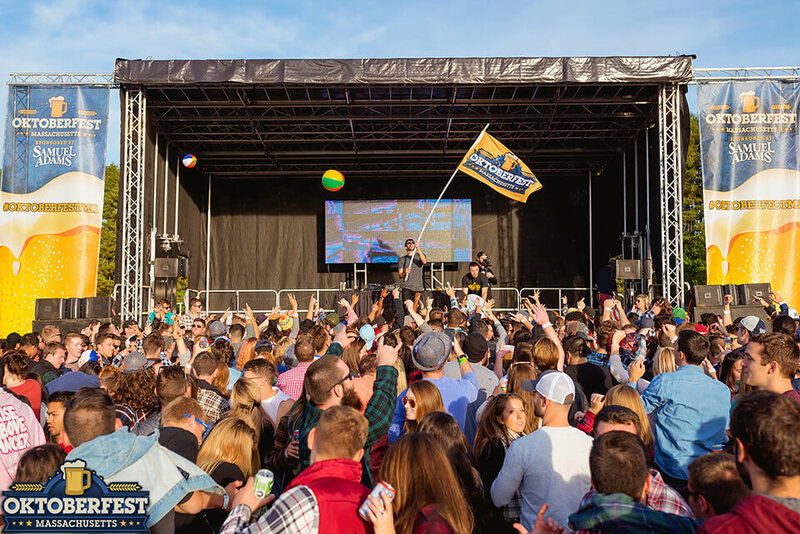 In year two, Oktoberfest MA expanded in partnership with Samuel Adams hosting over 1,800 festival goers in Amherst and over 500 revelers in Boston. 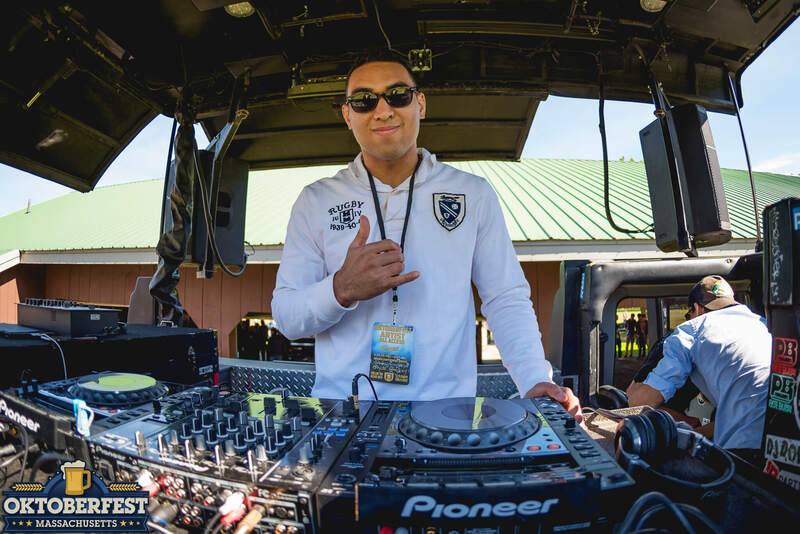 Each event featured multiple stages of concert production along with beer samplings, contests, games, music, and chances to win FREE trips to Oktoberfest Munich. A portion of proceeds from both events were donated to create academic scholarships for local families in need. Today, we’re gearing up for Oktoberfest Massachusetts 2018! Amherst is set to take place on Saturday October 13th 2018 and Sunday October 14th 2018 in case of rain. Drinking and driving don’t mix, and therefore these is a no tolerance policy for driving to and from Oktoberfest MA. There will be a strictly enforced parking ban at both Oktoberfest Boston & Oktoberfest Amherst. Attendees are encouraged to arrive via Uber, Lyft, PVTA, Taxi, or our shuttle service in Amherst! For more info, read the FAQ below. Oktoberfest Amherst will take place at the outdoor Young Men’s Club located at 138 East St. Hadley, MA. 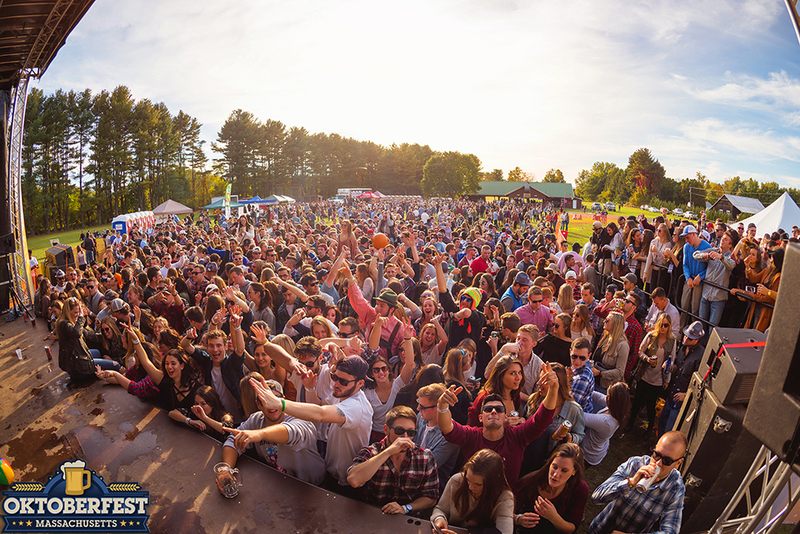 The venues hosts three stages of live music along with multiple bars, beer, lawn games, food, and more. Find out first by following us on social media! How can I enter to win a free trip to Oktoberfest Munich? By entering the Stein Hoisting Competition at Amherst, Boston, or both. How can my band or act perform at Oktoberfest? How can my brand or company be present at Oktoberfest? How old do I have to be to attend Oktoberfest? What’s the Stein Hoisting Competition? Where are tickets being sold? Tickets are on sale on our website, along with Eventbrite and Tablelist. How should I travel to Oktoberfest? We will be running round trip shuttles to and from the Young Men’s Club throughout the day. The pick up location is at Olde Town Tavern located at 1 Pray St. Amherst, MA; times TBA. There isn’t official offsite parking, however within walking distance to Olde Town Tavern, there is free parking on UMass Amherst’s campus. The closest is Lot 34 at 300 Massachusetts Ave. Amherst, MA. We recommend arriving no later than 2 PM, doors close at 4 PM. When is the music scheduled? Do you have a question that isn’t listed? Oktoberfest Massachusetts © 2016. All Rights Reserved.